The iPhone in all its generations has often been the subject of aftermarket luxurious touch-ups and the iPhone 6 is no exception. We had Amosu’s pink paint job a couple of months ago, and then Goldgenie gave the smartphone a dedicated Year of the Goat gold treatment. Then an out-of-this world Diamond Ecstasy edition followed, which commanded the exorbitant £2.3 million price tag. Another take on the matter now comes from London-based customization shop Vorsteiner, and yes, the company is otherwise specialized in producing sick body kits for premium car brands. The tuner has partnered with another British company, Gold & CO London, which delivers the execution, while design is Vorsteiner’s deed. 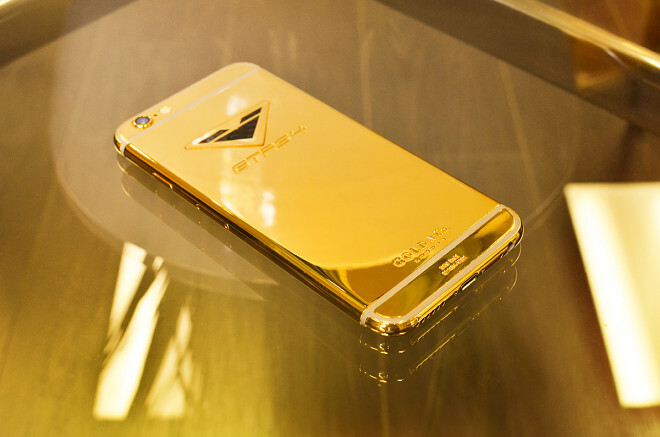 If you remember, the luxury jewelers previously produced a commemorative Burj Al Arab edition in addition to the company’s regular lineup of customized iPhones. The Vorsteiner model is called GTRS4 with every possible race car abbreviation thrown in the bunch. A prominent V company logo has replaced Cupertino’s apple, and a less conspicuous Gold & CO engraving sits at the bottom of the back. A price hasn’t been quoted, but with the device squarely targeted at the money-is-no-object crowd, it shouldn’t really make much of a difference.